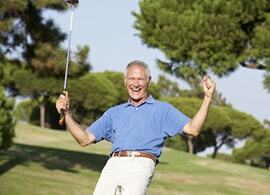 Are you interested in organizing your first successful golf tournament? Have you been organizing one for years, without much success? Either way, you’re in the right place. Welcome to Best Outings’ Guide to organizing the most successful golf tournament possible, our exhausting manual detailing the ins and outs of planning, training, recruiting, sponsoring, action items, budgeting, promoting, and everything else you need to make your golf tournament a complete success! In this guide, we will cover a variety of steps that will provide you with the tools you need to host a great golf tournament and maximize your income while doing so! Whether you need help finding sponsors, or you simply need assistance in creating your plan, you’re in the right place! Just remember; there are almost 1 million golf outings in the US each year, 90% of which are for the purpose of fundraising. With this competition, you need to ensure that you plan every aspect of your golf tournament to the T, so follow along, and make sure to take plenty of notes! Are you ready? Then, without further ado, let us begin your journey to making your new golf tournament successful AND profitable! Make no mistake; golf tournaments are large, unwieldy beasts that require months of planning, concentration, and preparation. Every successful golf tournament’s foundation is a strong plan, which means you need to pull out all the stops and do everything you can to make sure your tournament is fully visualized WELL before you start carrying out the leg work. But, if you’re new to the world of golf tournaments, it can be hard to determine where to start and what you need; that’s why we’re here with our 7 part system that will put you on the right path. BestOutings.com will go over each of these steps in more detail throughout the rest of this piece! 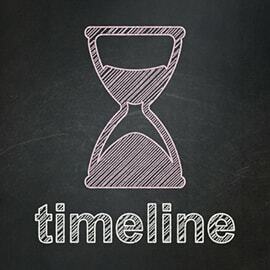 Though the schedule may vary, these are all important parts of the timeline; include them, and make sure you leave enough time for each step! Your committee is what makes your tournament go. The people in this committee will help handle planning, manage key aspects of your tournament, and so much more. In other words, if you want your golf tournament to go off without a hitch, you need to have the perfect committee: This means picking and choosing committee volunteers that bring many valuable tools to the event! Make Sure your Committee Wants to Be There: Don’t pick friends that owe favors, and don’t bring on committee members whose hearts aren’t into it. Building a golf tournament is hard work, and without a good team, you will find yourself spinning your wheels quite quickly. Build the Right Size Committee: You don’t want too many cooks in the kitchen, but you also want enough members so no one gets burnt out by their role; so, do your best to strike a balance! We suggest around 6 to 9 people in a committee, so all roles can be filled. Make Sure they are Connected: A committee who has friends in high places is a strong committee indeed. Make sure to take this into account when forming it! Golfers Chair: One of the main things you need to do is make sure golfers actually show up; fortunately, your golfers chair will oversee all aspects pertaining to this crucial goal. Tournament Chairman: This is the CEO of your tournament, who offers direction and accountability to your team throughout the entirety of the main event. Though the chairmen will not do all of the work, having these roles filled out gives everyone a specified duty, while allowing everyone to feel like they are more than just a part of the team - they are owners as well, and have a special hand in making this incredible event a success! 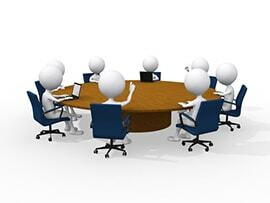 Of course, as the owner, you are still the "boss", as it were, and need to do all you can to make sure your newly formed committee do their work as efficiently as possible. And, as in all management positions, this doesn’t necessarily mean cracking the whip. In fact, the best way to inspire motivation in your volunteers is to get them excited, which can be done via appreciation, recognition, and incentives! Simply making sure they feel appreciated and recognized for the work they do – while offering gifts and, potentially, monetary motivation – can go a long way towards making your team want to work for you. At the end of the day, it is your volunteers that will make this tournament happen, so do all you can to motivate them properly (and to pick the correct members in the first place)! Calculate your Cost per Golfer: Don’t let your expenses surprise you; calculating how much you plan on spending, then dividing that by how many golfers attend, can be tournament saving! It will also give you the chance to figure out how much to charge your golfers when the day finally arrives. Golfer Registration Fees – No free events! Auction – Auctions can be tricky, but can make a ton of money. Set it up months in advance, and research the best ways to organize one! Secondary Prizes – Give golfers a reason to sign up! Advertising – Sell advertising space at your tournament! YOUR Advertising – Spend money to get the word out! 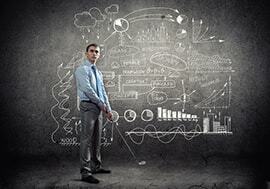 Website – Websites offer the perfect advertising platform, and mostly justify the cost! 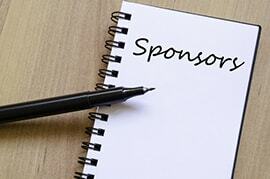 Sponsors – The more you have, the more you make. Setting Registration Fees – Your goal should be to fill your field with golfers, but still make enough money off of registration fees to cover most of your expenses. However, do your best to not overcharge – if you do, you may find yourself with an empty field! You aren’t a Pro-Am after all. TIP: Charge just slightly more than your expense per golfer (which should be calculated already). 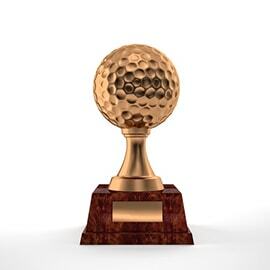 Best Ball: For more advanced golfers, best ball is a team effort that allows golfers to play their own ball. Each team takes the best score on each hole and adds up the total for 18 holes. Good for fundraising and entertaining events. Of course, if you wish to make more money – and spend more time setting up your tournament – there are other tournament formats you can use. These include Pro-Ams, Night Golf, and Golf-A-Thons. Each bring more to the table, and thus allow for higher fundraising possibilities. Pro-Am: This event pairs professional golfers with amateur golfers, with typically one pro per foursome. Night Golf: Played at night with glowing balls, this format is fun, interesting, and easy to justify charging more for – even though it’s not much more expensive. It also opens up your playing field to non-golfers, potentially improving your registration rates! De-Emphasize winning. Offer good prizes for a variety of different goals, while not top loading 1st, 2nd, and 3rd place winners. Separate into 3 different flights – Get average scores from golfers, and put them into "flights". For instance, a flight will include golfers that score in the 70s, B flight will have golfers that score in the 80s, and C Flight will have golfers that score in the 90s. You may also utilize the Callaway (worst holes system) and Scheid systems, which further allow you to shake the rounds up and level the playing field. Ah the golf course; a beautiful place with rolling fairways, smooth as silk greens, and prime location. THIS is what your golfers will be coming for – make no mistake – thus, choosing one is among the most crucial decisions you can make when planning your golf course. With this in mind, golfers normally won’t want to play at the local driving range. They want to try something new, fun, and maybe one they don’t get to play all the time; that means you have some tough decisions to make! Keeping these factors in mind – and even asking for help from the golfers that you invite to your next tournament – can help you find the best golf course available; however, the best golf course available may not be the best for you and your wallet! That’s why, once you’ve narrowed down your prospects, it’s important to start wheeling and dealing. How? Though golfers want something special, and YOU want to do all you can to set your tournament apart from the crowd, that doesn’t always mean the cream of the crop country club is strictly within your budget. With that said, there are some things you can do to get the best deal for even the best golf courses; it just takes a little bit of doing. Streamline the Inquiry Process: Utilize the BestOutings.com Outing Request Tool! 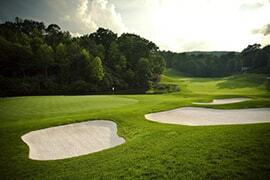 Save yourself time finding local golf courses looking to accommodate tournaments! Make Sure to Book a Full Tournament: If you have a lot of golfers signed up for your tournament – or have a history of planning tournaments with great turnouts – it’s easy to point at your roster sheet and show that you will be bringing in quite a bit of business to their golf course. Make sure to draw attention to sponsors, golfer’s families, and other attendees to demonstrate that this could easily become more than a one-time influx of business! Buy out the Golf Course: If you buy the golf course out for a day (or half a day), special deals may be on the table. Once you have your prices – and you know that the golf course you choose gives you everything you need – it’s time to make your decision and pick your date! Once you have the tournament itself planned out, it’s important to start event promotion. 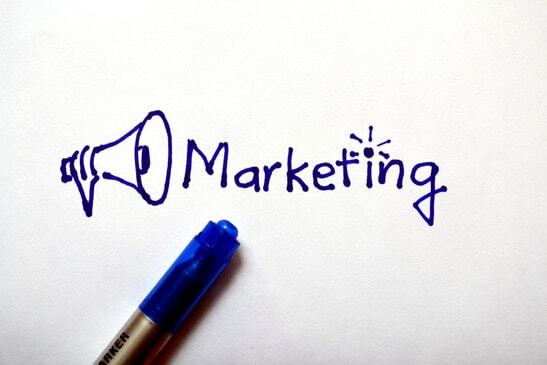 This can take a variety of paths; but, for our purposes, we will talk about one of the most successful marketing strategies you can utilize: internet marketing. Set up Promotions: From early bird specials to group discounts, there are plenty of incentivizing options that you can provide potential signees in order to make your tournament more noteworthy and attractive. Public Service Announcements: Use the airwaves to announce your tournament to listeners across your local area. Work with Local Media: Local media outlets are always looking for new and interesting events. Pitch your event – particularly if it’s a charity event – to your local news and see if they’ll pick up a story about it! SEO: If you have a large marketing budget, and a yearly tournament – hiring a local SEO team to improve your search engine rankings is always an option! Remember; this IS expensive, and should only be an option if you’re ready to spend. IMPORTANT TIP: Remember; before you start marketing your tournament, come up with a snappy name! No one wants to go to "random tournament in April" they want to go to the Pro-Am by the Lake (or something like that). Get to the drawing board and come up with something that rolls off the tongue, so you can market more effectively! Find a great cause for your event: Don’t just say we’re here for money, come up with a unique spin that makes your tournament…well, unique! Invite Celebrities and Contacts: If you have a lot of celebrities and contacts, then people will more likely want to come. Advertise who will be there and watch your numbers rise! Make it a Themed Event: Everyone does scrambles, so why not try something new? Be creative and theme the event! Utilize Local Eateries: Many local restaurants provide catering services which are simply out of this world. Find ones who do, see what discounts you can get, and treat your golfers to an actually good meal! Invent and Host fun games: Games inside the game are always enjoyable, and getting a prize for them is even more-so! All of these things can help make your tournament stand out from the rest. From there, all you need to do is start sending out the brochures, emails, press releases, and marketing materials, and the golfers will start flooding in. Oh, and don’t forget to utilize your committee members here as well! If you have 9 members, and you ask each of them to ask 4 people to bring a foursome, then you might fill out the field before you even get started! Other things you may want to include at your event include easy registration, opportunities to buy mulligans, raffle tickets, games and contests, handicap systems, photo shoots, clear scoring system, opportunities for donations, free range balls and warmup time, and maybe even a shirt clinic or golf lessons! Speaking of sponsors, it’s very important that you start selling sponsors as soon as you possibly can. This is the main way you’ll be making money from your tournament, which means it should be high on your to-do list! But how can you get sponsors for your brand new tournament? And how can you convince people to give you money, just because you’re hosting a tournament? Fortunately, it’s easier than you might think! The main thing sponsors want is to viable marketing strategy; in other words, they want to make money off of the money they spend on you. The best way you can convince them that’s possible – besides creating an amazing tournament with over 100 golfers in it – is to let them know what demographics you will be reaching with your tournament fan base (as these are the same people that the sponsors will be reaching with their marketing materials). This means you need to show your sponsors who your marketing materials are reaching, and that means going beyond just the golfers at your tournament! In other words, you need to know the occupation, income, geographic locale, and buying trends of those who you are reaching out to! This can be exceedingly helpful when reaching out to potential sponsors. Sponsors also want to know what they’re getting in return for their investment, and you need to blow them away in order to get the capital you need to justify your tournament. For this, you should create impressive sponsorship packages that include website links, further promotion of their companies – through mass media, email blasts, and social media – buying opportunities, and further media exposure. You should also offer physical marketing packages on-site at your tournament – such as tents, logo branded golfer gifts, and more – in order to truly sweeten the deal! Once you have an idea of what you’re selling, you need to find out who you’re selling to. That means pulling together your committee and exploring all the relationships you may have, including industry vendors, board members, beneficiaries, past key business relationships, partnerships, and even personal relationships. Internet searches can also be good resources, as many local businesses advertise their desire to purchase sponsorship packages online. Don’t forget to post sponsorship opportunities on your website as well! Professional Tournament Banners: Come up with an eye-catching design and put your name on a 3’ high x 6’ wide professional banner, to greet all that walk into your tournament! Sponsor Flags: Have different colored flags – with different sponsored logos – at every hole. Make them look nice, and sell them as part of your sponsorship packages. Hole Signs: These 18" x 24" signs should be placed on wooden stakes throughout the golf course at each hole. Put the name of the hole sponsor, as well as the logo and the name of the tournament on these ones. Cart Signs: All carts should have sponsored signs as well – make these 8-1/2" x 11" and put them on the front of all carts. If you really want to go above and beyond, try cart path signs, sand bunker logos, and flex banners as well! We here at BestOutings.com have said this a few times now, but if you don’t have contests and games outside of the overall victory, your tournament isn’t going to be a very fun one. You want everyone to have a chance to win something at your tournament – even if it’s a competitive one – because the more prizes brought home, the more chances you will have a repeat signee for the next tournament your organize! 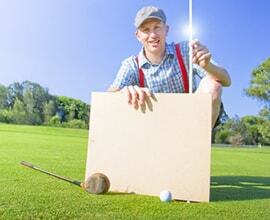 Long Putt: Long putt is a traditional tournament game that rewards the longest putt hit that day. Closest to Pin: Awards the golfer who hits the closest shot to the pin. 4th, 5th, and Last Place: Awards those who didn’t quite make the cut (while giving a pity gift to the person who had a slow day at the range). Pay the Pro: $$$ Similar to a celebrity shot, this gives golfers the chance to pay a pro to "take over for them" for a drive. Most tournaments charge $5.00 to $20.00. Mulligans: $$$ Allow golfers to pay 20.00 for a "Do over". Putting Contests: $$$ A putting game that takes place outside the normal tournament. Putters pay 10.00 for 3 putts at 10 feet. If they make all 3, then they get a chance at a 40 FT putt for $10k. Money games have the most potential at improving your profit margins, but all of these games are incredibly fun options to include at your tournament! Of course, winning these games should have some benefits, and as we’ve mentioned a few times, it’s important that you have some sort of giveaways, gifts, and prizes at your tournament. After all, golfers love freebies – even if they aren’t really free – and if they don’t have the opportunity to get something as a result of the tournament, then they will NOT show up! But, more than anything else, gifts and prizes can also be a marketing tool for you and your sponsors! Everything you give away has space for a logo on it and, after being used all year round, golfers will remember you and your sponsors. Here are some tips you should follow when organizing gifts and prizes. Tee Packages: Give everyone free hats, towels, balls, and tees with you and your sponsors logos on them. Trophies: Trophy spots wouldn’t be called trophy spots without trophies; so, if you’re having a more competitive tournament, make sure to buy some nice ones that golfers will want to put on their mantel! Auction Prizes: If you have an auction, you have a great chance to have a real money raiser on your hands. Make sure to sell experiences – such as dinner with celebrities or golf with athletes – as these are the real money makers, and provide you with something unique you can market! Raffle Items: Don’t forget to buy (or ask for donated) lower priced items that golfers can win with a raffle! This adds another layer of entertainment, while also giving you a chance to help the community. 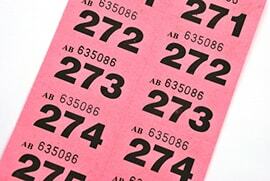 Ideally, always include one higher priced item to justify more expensive raffle tickets! While you COULD buy all of this, the best way to get these items for the golfers is to get them paid for by sponsors. The easiest way to do this is to build the price of all prizes into the sponsorship packages you create (or even allow the logos of your sponsors on these items). This, on top of companies you reach out to for donations, can help make this a surprisingly affordable part of your tournament plan. 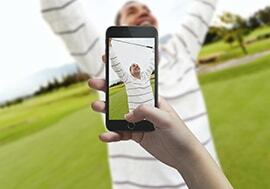 At every event, golf tournament or otherwise, event goers love documenting their accomplishments and the fun time they had there. While expected, this also provides you with 1.) A great money making opportunity, and 2.) 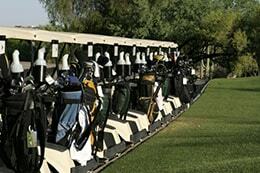 Yet another option you can include to entice golfers to go to your tournament. Videotaping the tournament allows you to replay the highlights of the day at the awards ceremony – bringing an air of legitimacy to the affair – while also providing marketing material for future tournaments. Better yet, if you stage video cameras on the par 3 hole, video each golfer from start to finish, or put together some highlight reels, you can even put these videos on DVD (or a flash drive) and sell them to interested golfers! You can also offer team photos, individual photos, action photos, group photos, and winner photos; not only are they fun for all involved, they make perfect products to aid in the increase of your profit margins. Get the Volunteers Ready: As we’ve said before, your volunteers are the key to your triumph, and the tools you will ride to a truly successful tournament. As such, it’s important to make sure that all are in their rightful place, and all are prepared to make this tournament go smoothly. Have all volunteers at the golf course early to handle golf course set up, contest creation, and goodie bag stuffing. Keep a check list on hand to make sure all is in its rightful place. Make sure all games are set up ahead of time, with volunteers setting up the physical aspects of each $$$ game (if there are any). Rangers that keep track of golfers – and have the authority to ask golfers to skip holes if they are going too slow – are a good way of doing this. Finally, if you wish to add even more bells and whistles to your tournament, you can provide fore caddies to all groups as well. By helping read putts, rake sand traps, serve players, and helping golfers read the distance to the ball, they can easily help improve pace of play. This all important event is the crux of your tournament and – in many cases – may be the one thing that gets people to come back the next year. As such, you really do need to pull out all the stops! Hire an MC: If you have that smooth, professional voice everyone wants, go ahead and do this yourself. But, if neither you nor the rest of your committee can provide the entertainment needed from a good MC, it might be a good idea to hire out; after all, a good MC can make the evening much more enjoyable, while a bad one will ruin it. Introduce the Committee: Don’t take too long on this, but we all know that those behind the scenes deserve some credit! Show some Highlights: If you videotaped the whole tournament, put some of the highlights – hole in ones, great chip shots, etc. – up on a projector screen as one last hurrah! Everyone loves seeing the amazing happenings during a golf match, especially when they didn’t get to see it live! Have a Slideshow: While the winners are being announced, put a slideshow up on the projector screen so everyone can be included. It’s a fun, non-obtrusive way to show that everyone won – even though the victors are the only ones going home with prizes. Does a Raffle: To provide some last minute excitement, and profit, do your raffle now! Make sure to do the small prizes before the ceremony, and the best prizes at the end! Auctions: The ceremony is also a great time to start the raffle. More fun for all, and more money for the event! Bring the Winners On Stage: Everyone loves a stage, and everyone loves being brought onto a stage for their award ceremony. Doing this is a great deal of fun for the winners, and adds even more of an air of legitimacy to the already successful golf tournament you’ve created! All in all, just make sure to have a fun, upbeat night, and to plan your events ahead of time. If you do that, your awards ceremony will go off without a hitch, and you can ride off into the sunset happier than ever before. Clean Up: Utilize your volunteers and break everything down! Don’t leave trash everywhere, and make sure that everything is as you left it; chances are, you’ll want to use this golf course again in the future, and leaving it in shambles is not a way to make that a possibility. Keep or Return all Sponsor Signs: If you have sponsors who have signed up for multiple years, make sure to keep their signs, flags, and logo items you haven’t sold. You can use these next year, or return them as a sign of good faith. Either way, don’t leave them in the golf course! 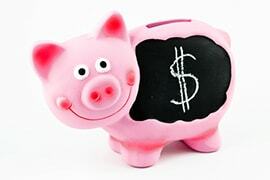 Collect all Fees: If there are any unpaid fees, collect them now or kiss them goodbye. Ideally, this should be completely done before the day of the tournament. Determine Charity Money: If you have donations bins and holes, it’s time to add up how much money you made. You can then send that money off to the charities of choice and announce how successful you were. Prepare for Next Year: Finally, start prepping for next year! Ask to book the golf course 1 year in advance, offer a free sleeve of golf balls to golfers for a small down payment towards the next tournament, ask your sponsors to sign up (if they enjoyed the tournament) for next year; in other words, strike while the iron’s hot! If you do all this AND start your preparations for next year early, you may have an even greater success on your hands – with less work to look forward to! If you follow these tips, and go line by line in this extensive guide, then you will find yourself that much closer to a golf tournament success. Just remember; all good tournaments begin with BestOutings.com! Utilize our Golf Tournament Request form today so you can start planning your next event as soon as possible! Good luck on your golf outing!